I interviewed Jason Crawford on "Free Objectivist Books for Students" on 29 May 2013. Listen to or download this episode of Philosophy in Action Radio below. The Free Objectivist Books for Students web site aims to help more students read Ayn Rand. It does that by enabling donors to send books by Ayn Rand or about her philosophy of Objectivism to students eager to read them. Jason Crawford explained how the project works – including the unusual way it connects donors and recipients – and why he thinks students should read Ayn Rand. 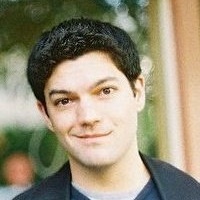 Jason Crawford is a software developer and entrepreneur in San Francisco. He was co-founder and CTO of startup Kima Labs, and has worked at Amazon and Groupon. He was introduced to Objectivism in 1992 and has been a part of the Objectivist movement ever since. Note: Alas, the audio quality is less than stellar due to a technical mistake that I made. Sorry!